Panasonic has added three new models to its Toughbook ruggedised notebook range, namely the CF-F9, CF-C1 and CF-S9. The Toughbook range has traditionally been built to military standards and can withstand direct water spills on the keyboard (even quick dunks in water), drops from as high as 4ft and features a fanless design so the notebook is safe from dust intrusion. The CF-F9, CF-C1 and CF-S9, however, are targeted at professionals who require a tough notebook that is also slimmer and lighter than the military-grade Toughbooks. The business-rugged Toughbooks, while not built to military standards, are still pretty tough and are able to withstand drops from 30in from all angles, a lid and base that can withstand up to 100kg of pressure and direct water spills on the keyboard. 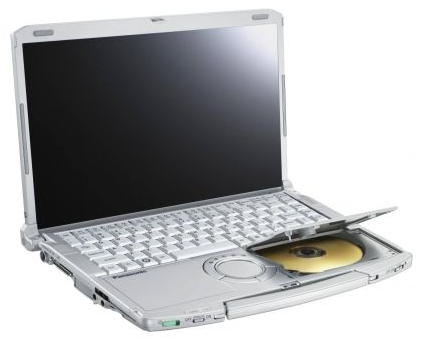 The new magnesium alloy and thin LCD glass as well as a Shell Drive design that integrates the DVD drive into the palm rest, make the entire unit about 75% lighter than conventional notebook models. 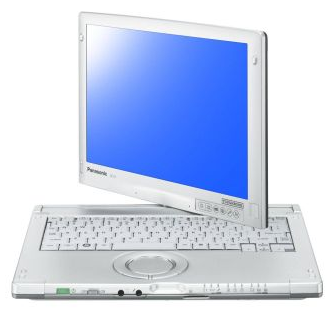 In fact, Panasonic claims that each of the three models is "the world's lightest" in its class. Claimed to be the world's lightest 12in laptop with a built-in optical drive, the CF-S9 weighs only 1.37kg and is powered by a 2.4GHz Intel Core i5-520M vPro processor, and has 2GB RAM and 320GB hard disk drive. The battery life is rated to last up to 11 hours on a single charge. At 1.6kg, Panasonic claims that the ruggedised CF-F9 is the world's lightest 14in laptop. This notebook has an LED backlit 14.1in screen with a resolution of 1440 x 900-pixels, has an Intel Core i5-520M vPro processor, 320GB HDD and 2GB RAM. Like the other ruggedised models, the case and chassis is made of magnesium alloy and has a shock-mounted "flex-connect" hard drive and LCD screen and is similarly spill resistant. Additionally, the CF-F9 has an integrated handle on the back hinge for easy carrying. Touted as the world's lightest 12.1in convertible Tablet PC, the CF-C1 weighs just 1.4kg with a single battery. The big feature of the CF-F1 is that it has an LCD screen that can be rotated and flipped over the keyboard and converted into a Tablet PC. Additionally, the screen supports multi-touch gestures as well as input via an electronic stylus. It has an Intel Core i5-520M vPro processor, 12.1in (1,280 x 800-pixels) display, 250GB hard disk drive and 2GB RAM. The CF-C1's battery life can go up to 10 hours when attached to its dual hot-swappable batteries, although this increases the weight to about 1.7Kg. Like the other models in the new Toughbook range, the keyboard is spill resistant and the casing can withstand a 30in drop. Additionally, to better handle the rigours of daily abuse, the CF-C1 has a unique triple hinge design that significantly reduces hinge failures.